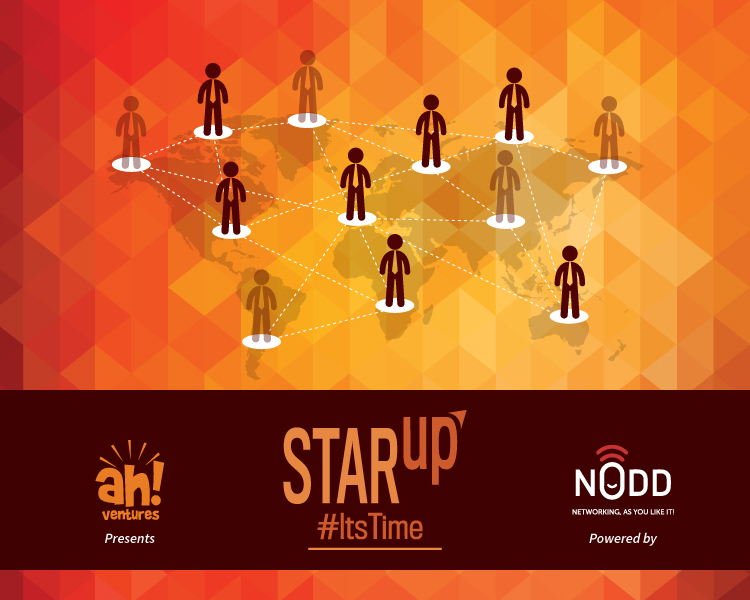 STARup saw over 1,200 Entrepreneurs, investors, corporate representatives, government officials and influencers from the Indian, Israeli, Asian and European startup ecosystem. It's was networking experience, where we make sure you meet the right people through effective curation; 1-on-1 meetings were setup between the 100+ investors & startups & people networked through the Nodd App. The summit is divided into 8 core tracks: Investors, FinTech, HealthTech, EduTech, EmergingTech, CleanTech, FoodTech & Logistics, Platforms & Aggregators and Co-working Tracks. Sessions in each track ranged from Expert Talks, Panel Discussions to startup pitching to our jury of investors. Niraj Didwania heads the corporate development and investor relations function at HCG and was part of the team responsible in successfully taking the company public in the Company's IPO last year. Prior to joining HCG, Niraj was working as an investment banker in Kotak Investment Bank. 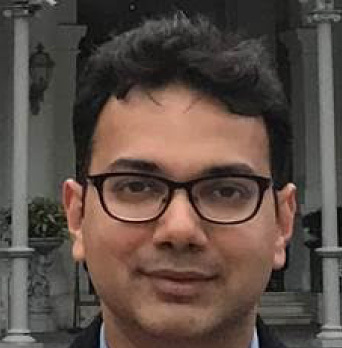 Niraj, with combined experience over 12 yrs specializes in venture capital, private equity and cross-border Mergers and Acquisition transactions and has worked in Kotak, ING, UBS investment banks in New York and Mumbai. Niraj has management degrees in Finance and Marketing and has successfully closed deals in finance, consumer, IT and healthcare industries. Niraj has participated in Investor Conferences in Mumbai, Singapore, London and manages domestic and foreign institutional investors of HCG. As part of Corporate Development, Niraj is responsible for leading and managing new initiatives including domestic and international Joint ventures, partnerships and associations as well as investments in new ventures and start-ups. Former CMO, Dr. Lal PathLabs'); $('#desctext p').html(" He is a well-known name in the Indian healthcare industry, especially in the Indian Diagnostics space and recognized as Asia's top 100 most influential marketing leaders by World Marketing Congress. 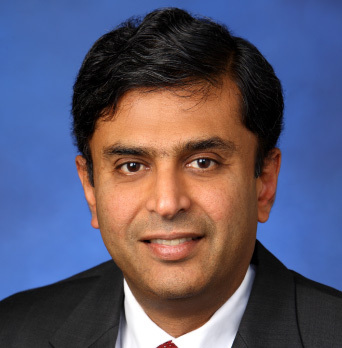 In 2012, he was recognized by IBM as one of the top 50 CMOs in India. A former COO and CMO at India's two most reputed and largest diagnostic chains. An award-winning business professional who has been acknowledged for building and transforming three businesses and brands in India Ð one from scratch (launched the brand Windshield Experts in India in top 25 cities between 2000-2008), transformed a laboratory business into a national consumer brand in his role as former CMO at Dr. Lal PathLabs (2008-2014). He also turned around the business for Metropolis Healthcare in North India (2014-2016). He has received many awards in last 6 years from the companies where he has worked at, as well as from well-known industry bodies and forums. He was in 2012, given an award for Retail Leadership in Healthcare by world's renowned management guru and award winning author, Marshall Goldsmith. In 2012, he also was hosted in the Academy of Indian Marketing (AIM) conference by India's top marketing Guru, Prof Jagdish Sheth for brand building and innovation in the healthcare space. He brings to the table around 20 years of rich professional leadership experience across functions: marketing, sales, general management and operations, across sectors: hospitality, auto, retail and healthcare, across cultures: Indian, Japanese and American companies, across international geographies: Australia, USA and India. In his current avatar as an entrepreneur he is working with like minded people, entities in healthcare space and wants to create a memorable, differentiated and path-breaking business model that makes healthcare more affordable and with a societal purpose. Mr. Kaul is an MBA from Australia's premier business school Ð Bond University and was a Dean's list student for achieving academic excellence in the university. His Project work has been retained and benchmarked by the Business school, available in Library as a reference copy by future business school students at Bond University, Australia. He is also an alumni member at IIM Ð Ahmedabad and ISB, Hyderabad. Deep familiarity and strong networks in several markets globally – India, US, Canada, Europe Specialties: Venture Capital, Private Equity, M&A, Growth strategies, Captive spin-offs, Operational improvements - revenue growth, cost structure and efficiency assessments Sector Focus: Consumer Internet, Enterprise Technology, Healthcare Technology, EduTech, Media/New Media, Telecom, Online/Mobile Payments, Renewable Energy, Pay TV (DTH), BPO, IT services. Amit is the Founder & CEO of Doctor Insta, India's 1st Video Medicine Company that is bringing HealthCare to everyone's Finger "Taps", and BrahmaX Ventures, a Venture Capital Company turning Ideas into Reality. His is the Ex-CFO and Head of Investments/Divestments at a $120 Billion Division of CitiBank, USA, the Ex-Senior VP of Growth & Investment Strategy at Bank of America-Merrill Lynch where he managed a $100 Billion Investment Fund. He also did stints in the Corporate Strategy Practice of Deloitte Consulting, at Johnson Center of Entrepreneurship & Innovation and at Kauffman Foundation. Jyotsna is the founder and CEO of Grow Fit (Healthzone Organic Foods Pvt Ltd), a mobile health companion that uses artificial intelligence to help over 300 million Indians achieve peak wellness. With Grow Fit, Jyotsna is striving to provide data-driven health strategies tailored to India. Besides physical health, Grow Fit also encompasses mental health through a separate app called Grow Self. Jyotsna is an all-star internet and mobile maven, having spent her career on the frontlines of internet businesses. Starting her career at payments pioneer Cybercash (later acquired by Paypal), Jyotsna has played leadership roles at marquee companies like Oracle, eBay and Yahoo in Silicon Valley during their growth phases. She went on the play key roles at venture-funded companies backed by the likes of Kleiner Perkins and Menlo Ventures before moving back to India in 2008. Back home in Bangalore, Jyotsna has helped build businesses at scale, such as OnMobile and Knowlarity (Sequoia-funded) as well as advise smaller companies intent on making a dent in the universe. 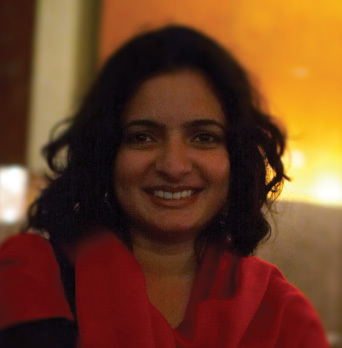 Jyotsna is an advisor at Stanford Ignite and an active member of the Stanford community in India. She is a founder and leader of the Southern Chapter of Stanford OVAL and also aconvener of the Ivy Club. Jyotsna is an active participant and speaker at mobile events across India. Her work has been covered at the Wall Street Journal, Femina, CNBC, Outlook and other prominent publications. Jyotsna is a Melton Fellow and has served on the Board of Directors of the Melton Foundation twice. She is a graduate of BMS and Stanford University. 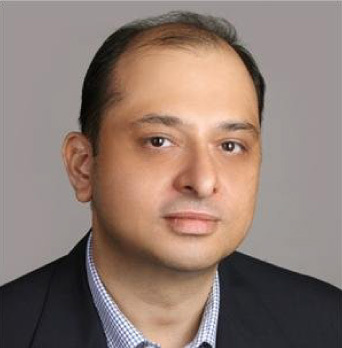 Academic background: IIT Delhi (1994), IIM Ahmedabad (1997), Wharton (Palmer Scholar), CFA, National Talent Scholarship \n\n Over 20 years experience across several industry subsectors and functional areas including:\n\n - Venture Capital and Private Equity investments across sectors\n\n - Investment Banking, M&A \n\n - Technology Startups: Co-founding and building a technology start up over 3 years with exit through a strategic sale \n\n - Strategy consulting across US, Canada, Europe and India on revenue growth, cost reduction, business portfolio optimization\n\n Deep familiarity and strong networks in several markets globally – India, US, Canada, Europe \n\n Specialties: Venture Capital, Private Equity, M&A, Growth strategies, Captive spin-offs, Operational improvements - revenue growth, cost structure and efficiency assessments \n\n Sector Focus: Consumer Internet, Enterprise Technology, Healthcare Technology, EduTech, Media/New Media, Telecom, Online/Mobile Payments, Renewable Energy, Pay TV (DTH), BPO, IT services. Niraj Didwania heads the corporate development and investor relations function at HCG and was part of the team responsible in successfully taking the company public in the Company’s IPO last year. 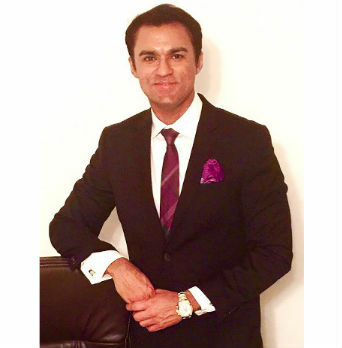 Prior to joining HCG, Niraj was working as an investment banker in Kotak Investment Bank. Niraj, with combined experience over 12 yrs specializes in venture capital, private equity and cross-border Mergers and Acquisition transactions and has worked in Kotak, ING, UBS investment banks in New York and Mumbai. Niraj has management degrees in Finance and Marketing and has successfully closed deals in finance, consumer, IT and healthcare industries. Niraj has participated in Investor Conferences in Mumbai, Singapore, London and manages domestic and foreign institutional investors of HCG. As part of Corporate Development, Niraj is responsible for leading and managing new initiatives including domestic and international Joint ventures, partnerships and associations as well as investments in new ventures and start-ups. 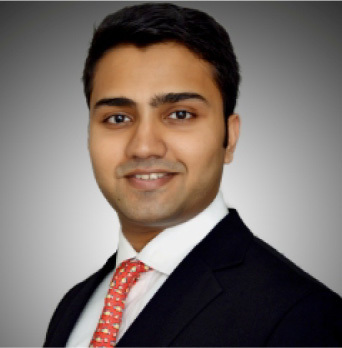 Anshul Saurastri is an Associate at Krishna & Saurastri Associates. His practice focuses on contentious and non-contentious issues in all forms of intellectual property laws including patents, trademarks, copyrights, designs and trade secrets and healthcare laws, media and entertainment laws, contractual laws and related corporate laws. More specifically he counsels clients on IP protection, IP prosecution, IP enforcement, IP litigation and IP management in India. He also regularly advises on licensing, franchising, merchandising, mergers & acquisitions, joint ventures, asset and share purchases, foreign investment, data protection issues, non-disclosure agreements and employment agreements. Mr Anup Kuruvilla is based in Bangalore and is a co-founder of 1Crowd which is an equity crowdfunding platform to help startups raise financing. He has 30 years of experience in arranging debt for corporate clients across emerging Asian markets with a primary focus on India, Indonesia and China. He has been based in Mumbai for 9 years, Singapore for 7 years, Hong Kong for 10 years and Jakarta for 4 years, working with Citibank, Chase Manhattan and ABN Amro / RBS. His last banking assignment was as the Managing Director and Head of RBS's Loan Syndication activities in Hong Kong (till Oct, 2014). Anup was on the Board of the Asia Pacific Loan Markets Association for over a decade and and holds an MBA from XLRI Jamshedpur and is a member of the Institute of Chartered Accountants of India.